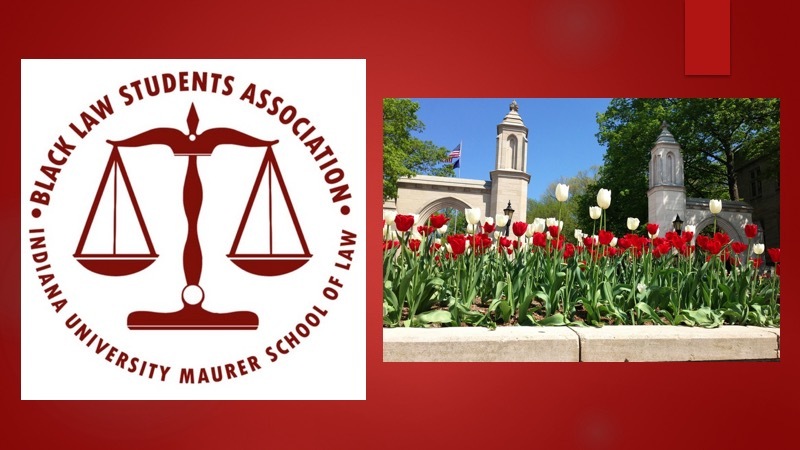 The IU Maurer Black Law Students Association (Maurer BLSA) is one of the largest student organizations in the Law School. With over 50 members, Maurer BLSA is truly reflective of the diversity that exists within the Law School community. We currently hold the distinction of being the 2013, 2014, 2015, and 2016 MWBLSA Region Chapter of the Year (out of over 40 chapters) and the 2012 McKaig Legacy Award (IU Student Organization of the Year) recipient (out of over 750 IU graduate and undergraduate student organizations). Maurer BLSA was also the first graduate student organization to win the McKaig Legacy Award. This organization exists for the support, guidance, and direction of minority students in academic, professional, and social endeavors. Our main function is to assist members in the development of their legal careers and to provide opportunities for exposure to various areas and aspects of the legal profession. We recognize the need to act positively in the development of our community, to encourage cooperation and closer ties between members of the Law School’s community, and to establish a vehicle through which our concerns are brought to bear on the Maurer School of Law's policy and the community at large. Maurer BLSA seeks to ensure that minority students merge successfully into the social, academic, and cultural life at the Law School and in the Bloomington area. BLSA encourages close social and professional relationships among students and provides a supportive and stimulating intellectual environment. We sponsor a variety of seminars on academic achievement, career development, and political awareness. Our events and programs are varied in nature, including easing the 1L (first-year law student) transition, reaching out to the community, and interacting with other law schools. Outside Maurer BLSA, students are distinguished and are leaders in a wide range of student organizations such as journal membership, Moot Court Board, and the Student Bar Association. Finally, BLSA Leadership assists the Office of Admissions by calling prospective students, arranging tours, and answering questions concerning the social and academic life at the Maurer School of Law. We remember how daunting the decision-making process appeared and the importance of having someone to talk to about the process. Please email us at any time if you have questions about admissions, being a student at Maurer, or for anything else you need. You may also find helpful information for prospective students on our Links page. For more information on applying to the Indiana University Maurer School of Law, please visit the website.